Opening: Friday 25th of May, 7-9 pm. Opening Hours: Thursday-Sunday, 5-8 pm. The brightness of the empty display, which has never been empty like a stage, space or sheet of paper, tells the wordless story of the potential of what is about to exist. Melanie Chacko (b. 1986) has studied at the Academy of Fine Arts in Munich and at the Royal Danish Academy of Fine Arts in Copenhagen. She works in different medias, primarily with installation. Her focus lays on intuition, lightness and speed as well as the movements in everyday gestures. 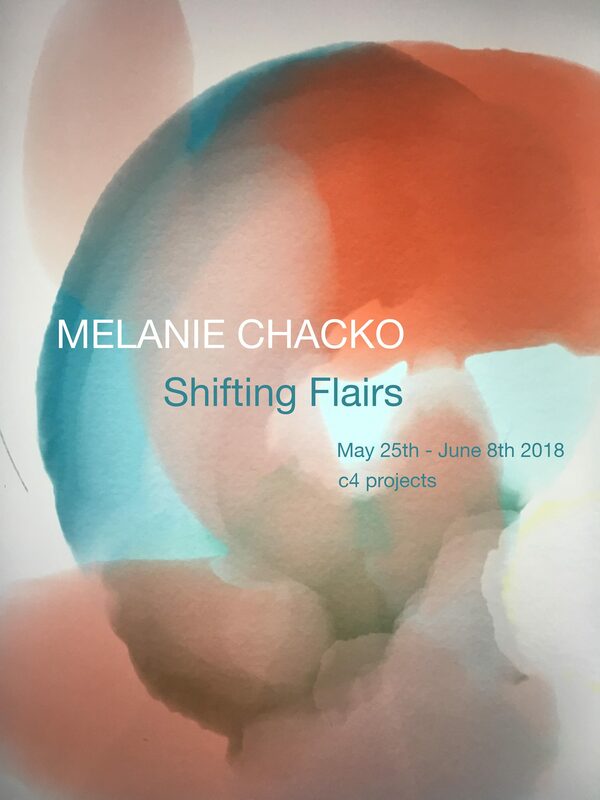 In Shifting Flairs at c4 projects Chacko is showing digital prints and a video installation that is playing a game of adding and removing colors and imagery.